Women's Education Alliance (WEA) assists in the education and formation of qualified Pre-K through 8th grade students by providing scholarships to Catholic Community Schools serving economically disadvantaged families in Baltimore City. In addition to a quality academic education, WEA also provides school support services that enhance each student's total learning experience on a cultural, spiritual, physical and social level. Archbishop Borders School is a Catholic school community that provides a rigorous academic dual language program infused with Catholic values to prepare leaders for a multicultural society. HACS believes every child thrives in a safe, peaceful, prayerful, and encouraging environment. HACS is open to children of all faiths, and offers an academically excellent education in the Catholic tradition providing opportunities for rigorous and relevant 21st century learning experiences for our students. With an environment rich in the performing arts, collaborative math and science opportunities, and prayerful experiences, CSS is achieving its mission of creating a peaceful world one student at a time. 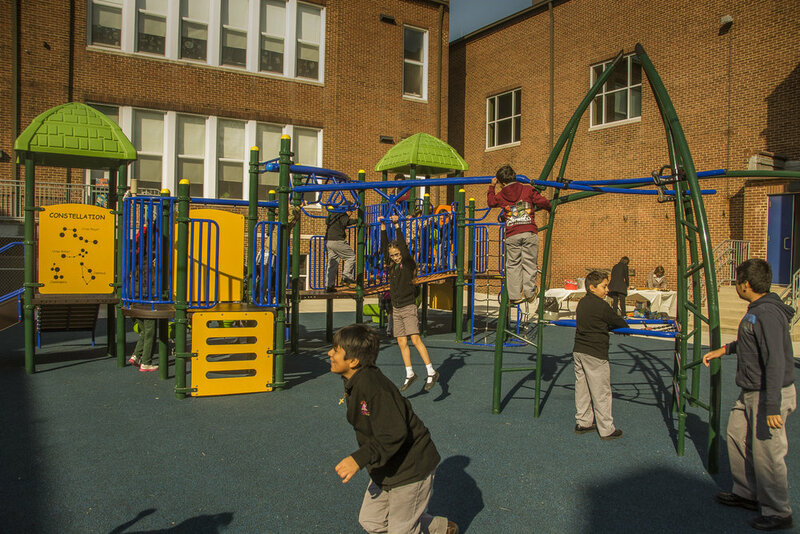 With a special emphasis on academics, extra curricular activities, and a strong catholic identity, Saints James and John is committed to teaching the whole child by providing opportunities and experiences beyond academics in the challenging environment of East Baltimore. Our FAITHFUL WEA supporters, have continued to shower our children and schools with the many ingredients necessary to provide an academic and transformational educational experience that will move our students on the path to successful futures which will improve not only lives but communities and neighborhoods in Baltimore City. Through the generous support of so many WEA women and men providing funds for scholarships, school supplies, playgrounds, technology, and so much more, WEA and YOU have been able to make a difference in the life of a child. In March of 2012, a strong leadership team of 20 women forged a new path to expand women’s involvement in this initiative. They came together in workshops to create a new organizational structure and to clearly define the Women’s Education Alliance. The beneficiaries of WEA scholarships are economically challenged Baltimore families who want their children to receive an academically excellent education and character formation that our four Catholic community schools provide. Success stories abound. Scholarship Preservation Program (SPP) – a priceless gift, this path allows the donor to select one of the specified scholarship levels and commit to this amount annually for a period of five years. A child is assigned to the donor. One Time Gift (OTS) – this path allows the donor to select one of the specified scholarship levels or to donate an amount of your choice towards a scholarship. This path shows the various services needed by our schools. Learn here to see how this type of support enhances a child’s overall educational experience. Each of our schools have both similar and different needs. Learn here about our common and diverse areas! See more News & Past Events!